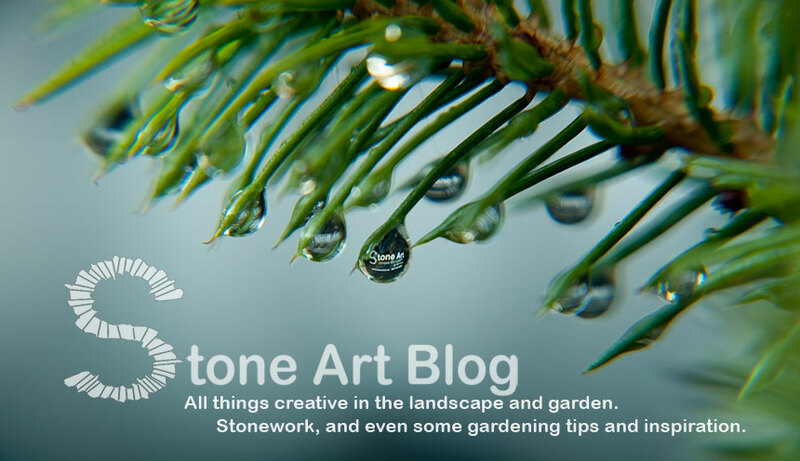 Stone Art Blog: Mypex ground cover and tips on how to fix around edging. the ground with a minimum of preparation. 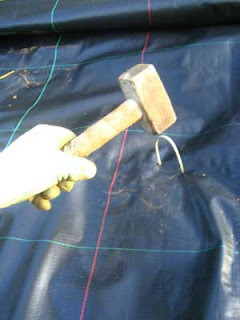 One draw back of using weed mat is that the ends of the matting along the edging is usually left simply trimmed to the edge, often resulting the matting being visible and allowing weeds to grow along the edge. Here is a method I use to help prevent this from happening. 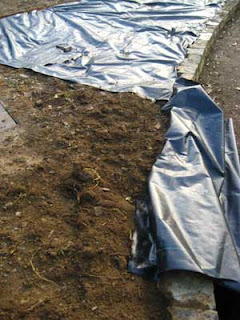 First of all, when roiling out the weed mat I would recommend using pegs to hold down the weed mat, especially in areas where there is a gradient, as they not only help hold the mating in place while you are installing it, but they also stop the matting moving around when you are walking around on it. 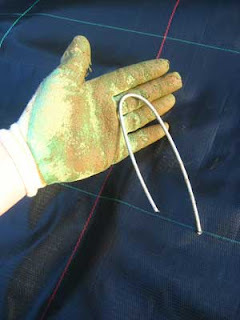 If pegs are unavailable use lengths of wire (in this case bull wire) cut into lengths and bent around. Then simply nail them in place. 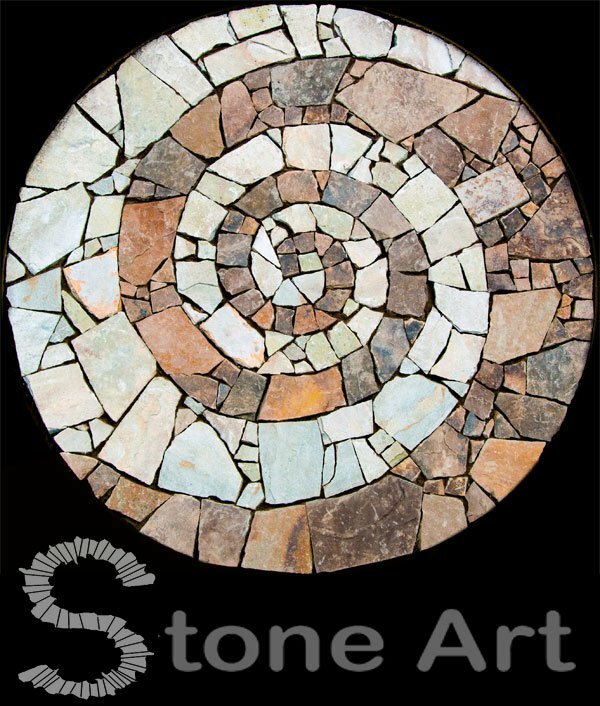 When cutting the mat to fit the bed, make sure to leave a few inches overlapping the borders. 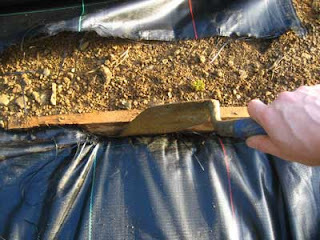 If the garden bed is finished with a timber edge, simply use a trowel (or something similar) to push the ends of the mat tight along the timber edge. 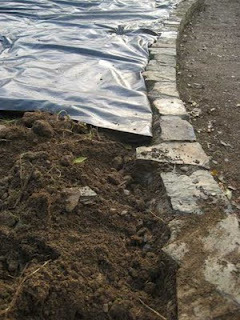 Then, leaving the weed mat laying out of the garden bed, lay the end of it in the trench then back fill the trench on top of the weed mat, and give it a good stamp. Then pull the weed mat back over the bed and secure with a few pins.